and adding training administration and management to the mix is a big ask. For teams with a learning management system (LMS) in place, Versant will provide training content in the format(s) required by your system. This option provides flexibility regarding integration of the content, control of permissions, and accessibility. If you have a training administrator, that individual can upload and administer the content . For teams working lean, Versant can administer the training for you. This solution allows you to focus on other business critical tasks. 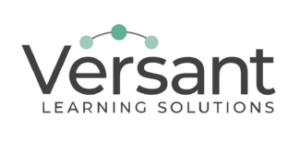 For teams that have not invested in an LMS and/or Training Administrator, Versant can host your employees on its Learning Portal. Content can be uploaded, retained and deployed via Versant’s LMS, which can can customize for your needs. Perhaps you’re ready to integrate a new learning management system into your organization, but are unsure how to decide between the many systems available. We can help with that! The first step is to determine what features are most important. How many users will use the system and how might that change over time? Number of user impacts subscription costs. What are your reporting needs? What types of information do you need about your learners, the materials, and the assessments? How important is accessibility to you? Does your team travel frequently? Do they have tablets and devices they can use? What existing systems will the new LMS need to integrate with? Both the number and the types of APIs offered are important. Not sure which option is best? If so, please contact us for a free 30 minute discussion.